A new decision by Egypt's health ministry to play the national anthem daily at state-run hospitals, in an effort to bolster the sense of patriotism among the staff, came into effect on Wednesday, ministry spokesman Khaled Megahed told state TV on Wednesday. 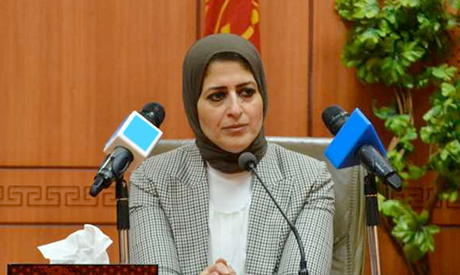 Newly-appointed Minister Hala Zayed issued the decision on Tuesday to play the national anthem followed by the oath of physicians on the internal radio system at hospitals, with the aim of "remembering our country…and [our] responsibility toward citizens." The spokesman has said that the decision is part of a broader vision to improve the work environment for Egyptian physicians, "promote the values of belonging and love for the homeland" and foster the principles of the profession. The announcement has drawn a flurry of criticism and lampooning on social media, with many slamming the country's poor medical system and accusing officials of directing their attention in the wrong direction. "We are not disregarding the major aspects of our work; developing hospitals, providing equipment and allocating human resources and medical supplies, but moving merely to the national anthem and the physician's oath," the spokesman said. "It is only one of the decisions the ministry has taken in favour of Egyptian physicians." Egyptians have for decades suffered from the country's under-resourced healthcare system, underdeveloped state-run hospital and run-down facilities. Egypt has allocated EGP 61.8 billion for its healthcare system in the state budget for this fiscal year, half of which goes to paying salaries. The figure is an almost EGP 7 billion rise from the previous year, but less than half the targeted budget of 3 percent of the country's gross domestic product as stipulated by the constitution. Minister Zayed was appointed mid-June as part of a new cabinet marking the beginning of President Abdel-Fattah El-Sisi's second four-year term in office.